Hey Everyone! 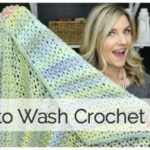 The video I uploaded today is something I think every new crocheter should watch. 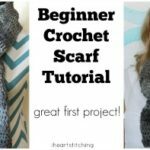 It shows and explains some common crochet mistakes and questions that I get as well as some tips for beginners and encouragement when you get frustrated! Watch the video below and let me know what you think! 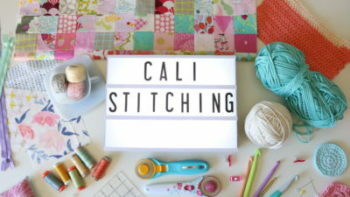 Common Mistake: not enough stitches in each row. If you are new to crochet, or even if you have crocheted for a little while but you get frustrated sometimes, this is the video for you to watch! Leave me a comment under the video and let me know what you think!! Hi Melanie. Just starting crochet. Love knitting but having problems with my hands. Love this video I’m one of those perfectionists constantly pulling thing apart. I have chronic pain and lower back problems having to spend a lot of ime lying on my sides.. Concentration is poor too have u any tips to help me. I am hoping you can help me. I have recently starting my second project, a 3×4 foot blanket for my son. I have made a big mistake with my tension on my beginning chain. I made it too tight and now have a curve in my blanket. 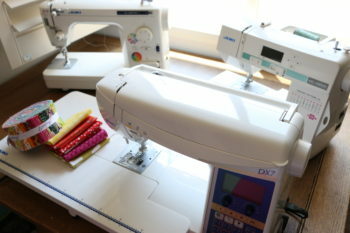 I have now made 6 rows at 3 feet each and I can’t tell you how much I don’t want to tear all my work. Is there some way to fix this without having to start over?? Thank you for your help!! Hi Melanie. My blankets are always rectangular in shape. How can I prev this? Hi Melanie, just wondering if you have any tutorials in crocheting fingerless mitts? Thanks for this video! I’m a beginner and I’m doing all the horrible things you warn about! Since the things I’m making are for my family, they’re forced to wear them whether they’re awful or not X) I’ve made two wonky scarves, so I started on your slouchy hat. My stitches were WAY too tight, so I just stopped midway, threw a little band on it and it’s now a beanie! Adapt and overcome! Greetings Melanie! 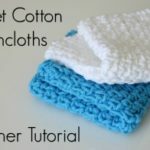 Love your tutorials….I have a request…will you please create a crochet tutorial for making socks/booties for adults…I do not know how to knit and am an advanced beginner on crocheting. Thanks so much! Keep the blog posts going…I look forward to seeing them weekly. Be blessed! don’t mind at all, thanks so much! I’ve made two infinity scarves now but they keep getting twisted. What am I doing wrong??? I have watched about ten how to beginner hat videos and I just can not figure out the beginning I get chain 4 then hook over to form the circle but then I get lost in where to put the double crochets any advise would be great I just get lost in the yarn I can’t figure out where to put my hook in its all messy to me! I know I’m not going to get it right away but I’m determined!! I am so excited to learn to crochet, I just ordered my first set of hooks off amazon, and have watched a few of your videos! Thanks for the great tips, your site is just great! Love your videos! I am really learning to crochet! I absolutely love your blog. I am the definition of a beginner in crocheting…. but…your tutorials have helped me to make my very first scarf!! And I’m actually excited to gift it 🙂 This last video you posted has great tips that address the problems I was running into… You are a great teacher 🙂 just wanted to say thanks! !